You want your pet to live the longest, healthiest and happiest life possible – and so do we. When you choose the veterinarians and staff at South Fork Animal Hospital to be your pet care partners you can be assured your pet is receiving the most advanced veterinary care from an experienced, knowledgeable and compassionate team that has dedicated their lives to making pets and their owners happy. Regularly scheduled wellness visits are the foundation of your pet's healthcare plan at South Fork Animal Hospital. Wellness visits include a thorough physical exam, blood testing, dental examinations and cleanings, customized vaccinations and parasite prevention. Just like with your healthcare, identifying issues before they become serious is the key to long-term good health and to keeping the lifetime cost of caring for your pet as low as possible. If your pet becomes sick or injured, our veterinarians and medical team are here to provide the compassionate, skilled veterinary care your pet needs. Our internal medicine, diagnostic and surgical capabilities, supported by advanced veterinary technology and state-of-the-art facility, mean we can work quickly to get you an accurate diagnosis and treatment recommendations, minimizing your pet's discomfort and your worry. When you bring your pet in to see us, we want you to feel confident your pet is receiving the best care possible. The veterinarians and staff at South Fork Animal Hospital strongly believe great veterinary care begins with taking the time to get to know your pet, talking with you and giving you all the information you need to be the best possible caregiver for your companion. Please read about the services we provide and about why you should trust us to be your pet care partner. 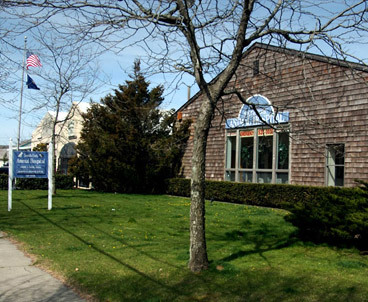 If you have any questions or would like to schedule an appointment, please give us a call today at (631) 537-0035. For your convenience, we are open seven days a week and we offer same-day appointments and drop-offs. We also accept walk-ins based on availability. Payment in full is due upon completion of services. We accept cash and all major credit cards. 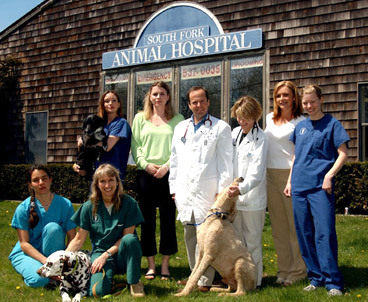 The veterinarians and staff at South Fork Animal Hospital treasures the opportunity to say thank you to our clients by giving back and staying connected to the Wainscott community. We take part in numerous ongoing community initiatives, including acting as members of the veterinary council for the Animal Rescue Fund of the Hamptons, a rescue organization and adoption center that provides care and shelter to dogs and cats while they await placement in their forever homes. We all want to ensure our pets receive the highest possible standard of veterinary care. That's why South Fork Animal Hospital has achieved accreditation by the American Animal Hospital Association, a designation achieved by a small percentage of animal hospitals in the country. AAHA is the world's leading association of companion animal practitioners. To maintain AAHA certification, our hospital must pass comprehensive inspections of our facility, medical equipment, records and management. South Fork Animal Hospital has been AAHA accredited since 1996.